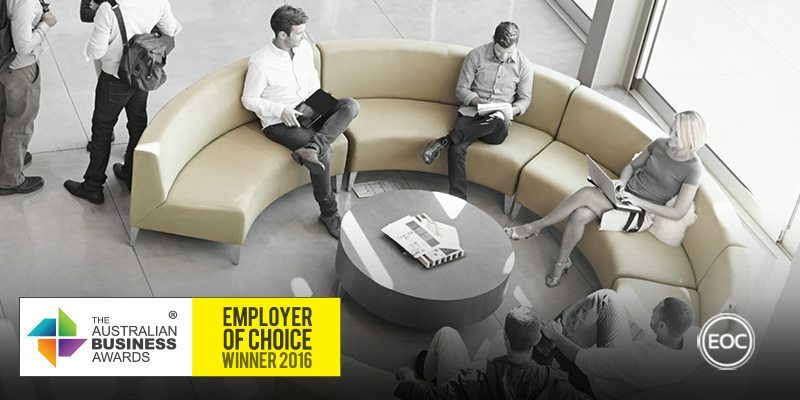 Stage and Screen has been recognised as an Employer of Choice in The Australian Business Awards 2016. Established in 1993, Stage and Screen is a travel and logistics business specialising in moving people and equipment within the entertainment industry. The brand is primarily focused on airfares and accommodation, with the full range of products available including vehicle rentals, chauffeur services and baggage transfers. Stage and Screen’s culture is founded on the belief that a travel professional – a passionate person who cares about delivering amazing travel experiences for their customers – is the most effective conduit to transact travel. This has extended to a “work hard, play hard” culture, combining high expectations with high support to culminate in a fast-paced, exciting work environment. Key Business Drivers quantify this focus, which align Stage and Screen’s business aspirations with their commitment to the happiness of their employees. In an effort to further the professional development of their staff, Stage and Screen offer their employees access to the “Rockstar Academy”, which is a full suite of training/development modules designed to focus on five tiers of work experience. Years 1 to 3, years 3 to 6 and years 7 to 12, as well as a dedicated leadership module are offered as part of pre-work, facilitated and on-the-job initiatives. Development is accompanied by a rigorous performance management system that includes a series of ongoing planning meetings covering daily focus, weekly overview, 90-day business plans and longer term strategy. Monthly buzz nights, an end of year ball and team incentive trips are also prominent parts of the Stage and Screen employee calendar, designed to reward employees and embody their commitment to employee health. This extends to two internal companies: Healthwise and Moneywise. Healthwise provides staff with access to fitness and discounted health services, while Moneywise ensures employees are able to pioneer their own financial success through financial planning services.